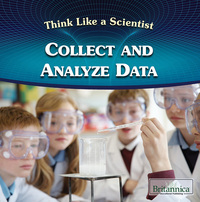 This informative book explores the collecting and analyzing data step of the scientific method. Readers will learn precisely what data is and how to understand it in simple, straightforward language. With concrete examples of discoveries made by real-life scientists, this book makes a case for how important data and the ability to analyze it truly is. This book also provides accessible experiments that readers can do at home to foster a greater understanding of the method.